Below you will the answers to the questions you may have. As you are looking for information to make an educated and conscious choose about the new addition to your family we want to make ourselves available to as much as we can. If you do not find the answer you are looking for or if you want more information about the questions you have if we do not have the information you seek we will do our best to guide in the right direction. Of course we hope that you choose the Japanese Chin as your next companion and that we would be the breeders you want to work with. 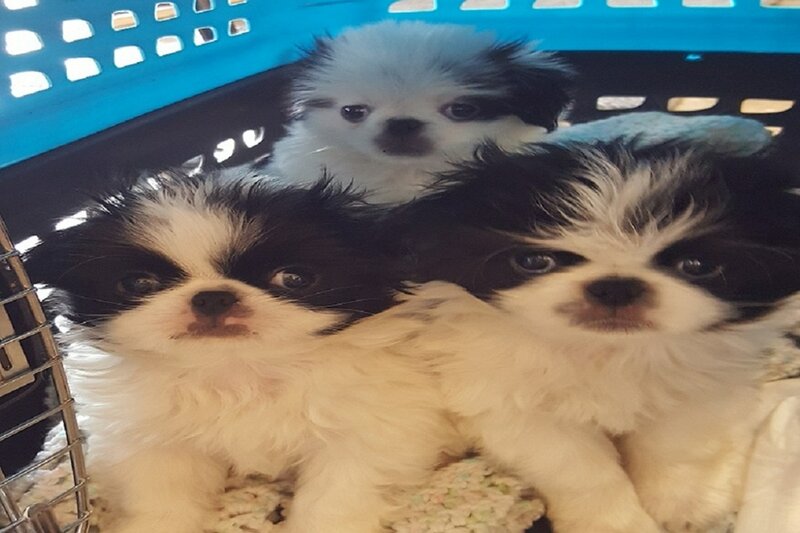 However, our primary focus is the wellbeing of our puppies which means that if the Japanese Chin is not the breed for you than we want to assist you in that discovery. We send our puppies home with their new families when they have received every ounce of their mom's foundational nutrition and bonding. This early start promotes optimal health, both physically and emotionally, so that when they do go to their permanent home they are well adjusted and ready to make the transition. This process takes about eight weeks at the minimum, but can take as long as twelve. ​When should I take my puppy to the vet? ​Before your puppy goes home with you we will take them to our kennel vet to receive a "well puppy check-up". At this visit with the vet your puppy reassures that your puppy is in the best of health and on track in their growth and development. We provide a health and genetic guarantee, with that you agree to take your puppy to the vet within the first 3 business days of receiving your puppy. This visit will give you the opportunity to transfer all of your puppy's initial health record to the veterinary of your choice. This is the portion of our healthy puppy guarantee that you are responsible for. In order for our agreement to be valid you MUST make and keep your puppy's appointment within the first 3 business days (no more) of receiving your precious little bundle. ​Most defiantly! We welcome you to come and check us out. The only requirement is that you make arrangements in advance. Please refer to our 'Contact Us' page for the different ways that you may get in touch with us to set up an appointment. 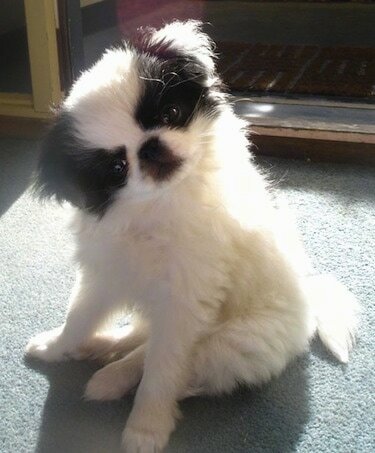 ​We use quality dogs to create exceptional representatives of the Japanese Chin breed. Our puppies are pure breads but they do not meet the rigorous restraints necessary to produce a show quality dog. So, while your puppy won't win a ribbon at the Westminster Dog Show, they will the best award every . . . the will win your heart! ​Yes we will ship your puppy to you for an additional charge of $400.00. How do I know that the Japanese Chin breed is a good match to my lifestyle? ​There are many sites that can provided you with information about the needs of the very special breed of dog; i.e. exercise requirements, grooming needs and the like. We have provided a small selection of these on our 'Puppy Pages'. Go check it out!